Photo: Frederick Parkinson House, ca. 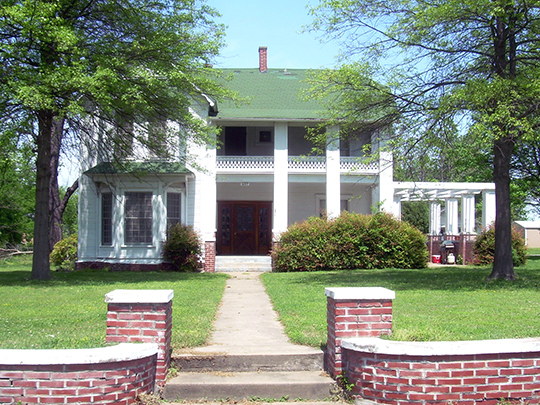 1897, 407 3rd Street, NE, Wagoner, OK. Listed on the National Register of Historic Places in 1982. Photographer: user:Caleb Long, 2008, [cc-by-2.5 (creativecommons.org/licenses/by/2.5/deed.en)], via Wikimedia Commons, accessed November, 2015. The Wagoner County Courthouse is located at 307 East Cherokee Street, Wagoner, OK 74467; phone: 918-485-7700.